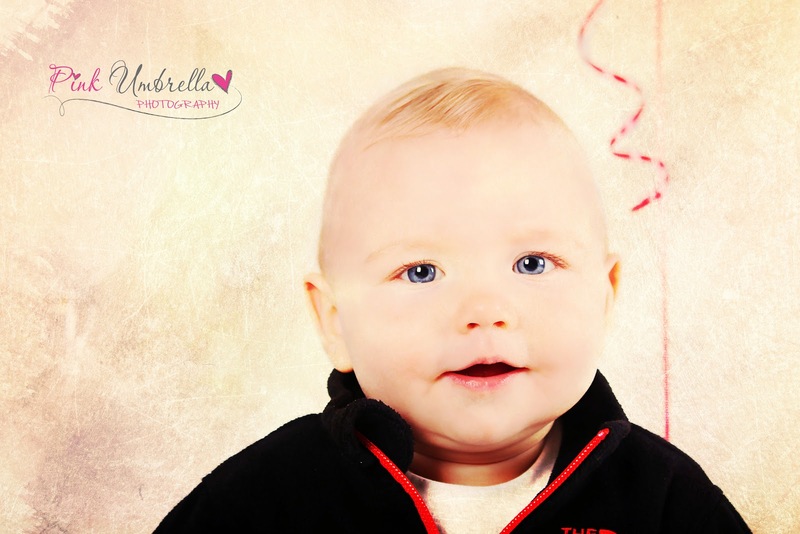 Pink Umbrella Photography: Grayson is Turning One!! Having some fun with the new overlays I just purchased. And this sweet little boy is fixing to be the big ONE!! Grayson, you are just too stinkin cute. Let me know what you think about the overlay look to this photo?